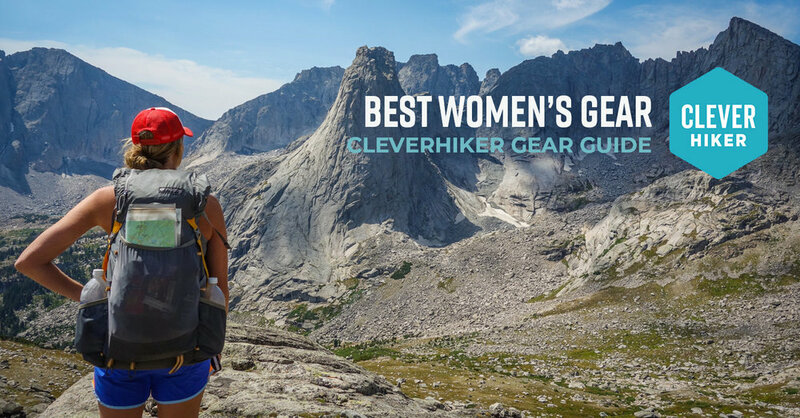 In this article we outline several key difference in women-specific backpacking gear and recommend some of our favorite items. In the past few years there’s been a long awaited shift toward gender equity and accessibility in the outdoor industry. Now more than ever, companies are getting serious about designing quality, high-functioning outdoor gear for women. Women have different body shapes, move differently, sleep a bit colder, and have unique hygiene considerations. Not every piece of backpacking gear needs to be gender-specific, but women often find that gear tailored to them works better. Do I Really Need Women-Specific Gear? Yes and no. When it comes to buying gear of any kind, your decision should ultimately come down to what will work best for you. For example, some women find that men's or unisex backpacks actually fit their bodies better, so it's important to consider all options. In the end, there’s rarely one clear “best” choice for everyone, and you know your body better than anybody else. As you look through our recommendations below, you'll see that we're big fans of lightweight backpacking gear. The reason is simple: The lighter your backpack, the easier (and more fun in our opinion) your backpacking trip will be. So whether you’re planning an epic thru-hike or a quick overnight jaunt, keeping pack weight down is key. Most of our gear recommendations below balance weight, cost, and comfort. Our ultimate goal is to keep our packs as light as possible without sacrificing safety, comfort, or functionality. Lightweight gear does tend to cost more, so if you're looking for budget friendly options, take a look through our Gear Guide for more recommendations. When buying a backpack, most women find that women-specific packs offer a more comfortable fit. Women's packs tend to have shorter torso lengths, ergonomic s-shaped shoulder straps (which contour the chest better), and anatomical hipbelts to transfer weight to the hips comfortably. When choosing a backpack size, make sure to measure your torso length and hip size before ordering. Many of the backpacks we recommend are lightweight backpacks, meaning they have more minimal frames and tend to be a bit smaller than heavy traditional packs. This style of backpack is excellent for reducing overall weight, but won't work well for carrying heavy loads (usually over 35-40 lbs). For more tips on findinding the right backpack, checkout our Backpack Buyers Guide. The comfort and versatility of Gossamer Gear’s Gorilla 40 backpack keep it on our all-time favorite packs list, especially for women. The Gorilla has a unisex ergonomic belt shape, which is comfortable for both men and women. Gossamer Gear packs have removable hip belts, allowing for more customization of your pack. We also love the Gorilla's SitLight pad, which acts as back support on the trail and a cushy seat around camp. 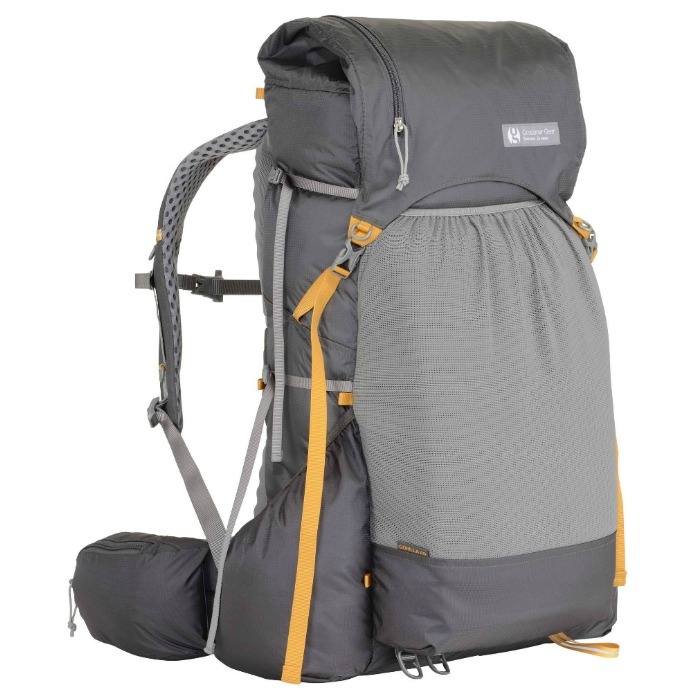 This pack's capacity is 40L, so it's a good option for those with their gear dialed in. If you want more room in your pack, check out the Mariposa 60 backpack. 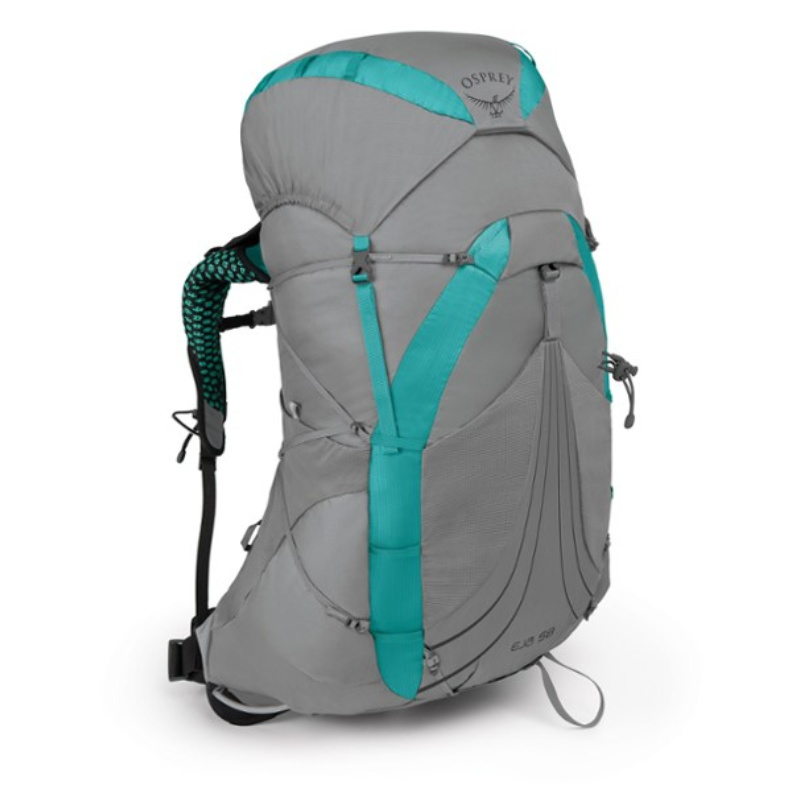 The Osprey Exos 48 (and Eja 48 for women) is a cushy lightweight pack with excellent all-around value. The Exos has a sturdier frame than most lightweight packs, will carry fairly heavy loads comfortably, and won’t break the bank. One of our favorite features of the Exos is it’s tensioned-mesh back panel, which contours the back nicely and increases ventilation on the trail. This pack also comes with some convenient extras like a removable top lid, FlapJacket cover, and small shoulder strap pouches. The biggest downside to this backpack? No hip belt pockets. The Ultralight Adventure Equipment Circuit is a comfortable, lightweight backpack filled with features many pack companies charge extra for. The circuit’s unique, three-part frame transfers weight to the hips and gives hikers a really comfortable ride on the trail. The ULA Circuit is highly customizable, allowing you to build a pack that fits the female frame. The ULA Circuit offers the option of S-shaped straps, which contour a women's chest better than traditional straps. ULA pays close attention to every detail with their pack line, and it definitely shows with the Circuit. The Hyperlite Mountain Gear 2400 Southwest strikes an exceptional balance between weight, weather resistance, and durability. This burly pack has a minimal design, but it’s frame is highly effective, giving it a sturdier feel than most lightweight packs. Though this pack has all unisex features, it's still one of our favorites, especially for women with longer torsos. The unique DCF fabric and taped seams on the 2400 make it one of the most weather-resistant and durable lightweight packs we’ve ever tested. The main downside with the 2400 is it’s higher price due to the DCF fabric, but this pack will last for years if treated with care. Also, the 2400 is quite comfortable, but it isn't overly padded, so don't expect extra-cushy comfort. If you dig this pack, but need more carrying capacity, HMG also offers a 3400 and 4400 model. If you're not quite sold on lightweight backpacking or you want the ability to carry extra weight comfortably, check out the Osprey Aura AG 50 Women's Pack. 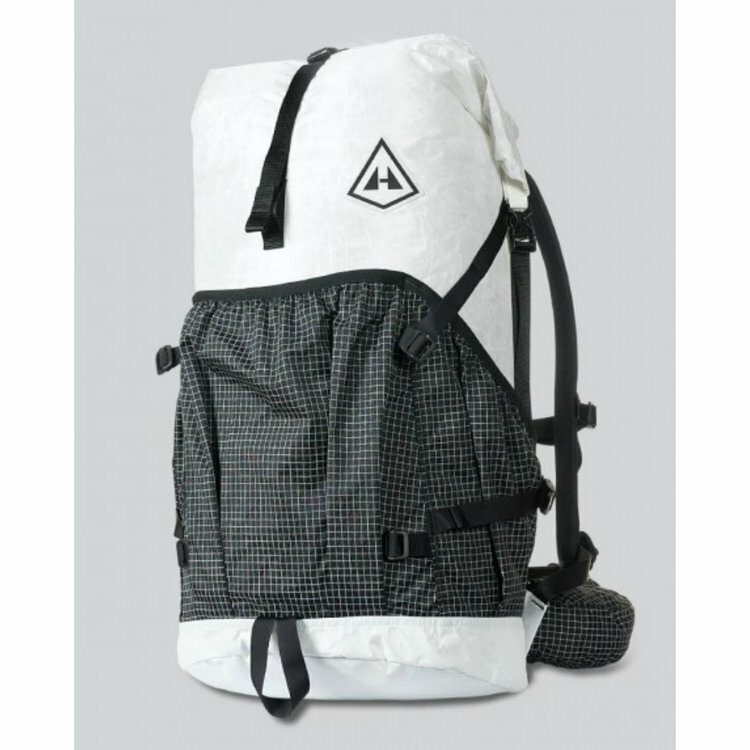 This pack's suspension system contours to the body really well and is incredibly comfortable. At 4 lbs, the Aura AG 50 is heavier than the packs we generally choose to hike with, but it’s a favorite in many women's backpacking circles. 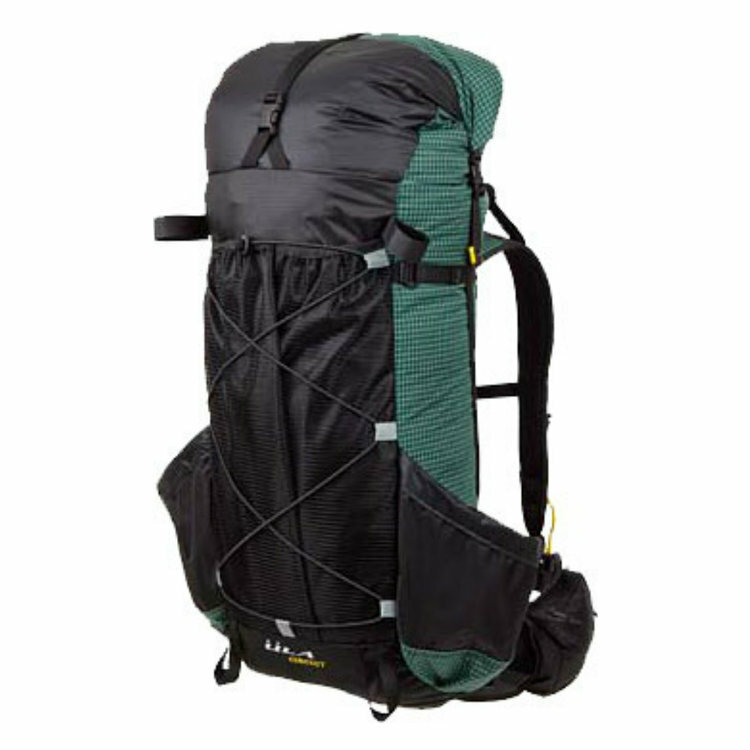 If you want a pack with even more carrying capacity, Osprey also offers the popular Aura AG 65. Buying a women’s sleeping bag is one of the most important purchases you can make to ensure a warm and comfortable night's rest in the backcountry. In general, women sleep colder than men (often by about 10 degrees), so it's important get a bag with a warm enough temperature rating for the conditions you plan to encounter. To account for this, women's bags are usually warmer and have more insulation in the footbox and torso. Women also have different body shapes than men, so women's sleeping bags tend to be wider in the hips and narrower in the shoulders. This extra precision will ensure your sleeping bag fits comfortably and optimizes warmth. For more tips on findinding the right sleeping bag, check out our Sleeping Bags Buyers Guide. 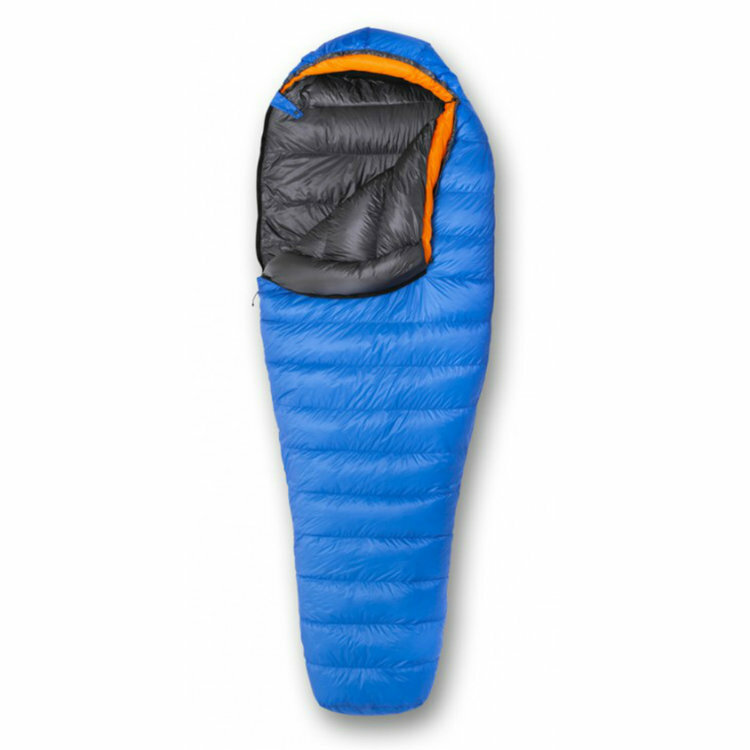 The women's-specific Egret UL 20 is our new favorite sleeping bag for women. It’s incredibly light, feels soft against the skin, and is filled with high-quality, responsibly-sourced 950+ goose down. As a women’s bag, it's tailored to the female form, has more space in the chest and hips, and has a warmer footbox and torso. This attention to detail helps provide a much more comfortable night’s rest than a traditional unisex bag. Feathered Friends doesn’t list EN temperature ratings (they rate this bag to 20°F), but we've found their bags to be very warm and consider their ratings to be on the conservative side. The Egret is Feathered Friends most popular women's bag and we completely understand why. The Egret is also available in a popular Nano 20 version, which is slightly heavier but more cost effective. The REI women's Magma 17 has a combination of weight, warmth, and cost that very few sleeping bag on the market can match. The Magma is well balanced where it matters the most, with quality materials, an excellent warmth-to-weight ratio, comfort against the skin, a no-snag zipper, and a well-shaped footbox and hood. The women's version of the Magma is 6 oz heavier than the men's version, which slightly knocks it down in our books, but that extra weight is mostly due to increased insulation, making the women's bag significantly warmer than the mens. The Magma’s combination of quality and cost makes it one of the best value women's bags we've tested, hands down. The Enlightened Equipment Revelation quilt has a combination of weight, versatility, and affordability that makes it an exceptional choice for ultralight backpacking. The Revelation can be left open like a blanket on warm nights or cinched up tight when the temperature drops. If you dislike feeling constricted in tight-fitting mummy bags, you'll love the freedom of the Revelation. There is nothing gender-specific about this quilt, we just think it rocks for both men and women. EE quilts are not EN tested, and quilts tend to be more drafty than mummy bags, so we recommend choosing a 10° or 0° Revelation if you plan on camping in near-freezing temperatures. We also recommend bumping up one size in length and width for full coverage. 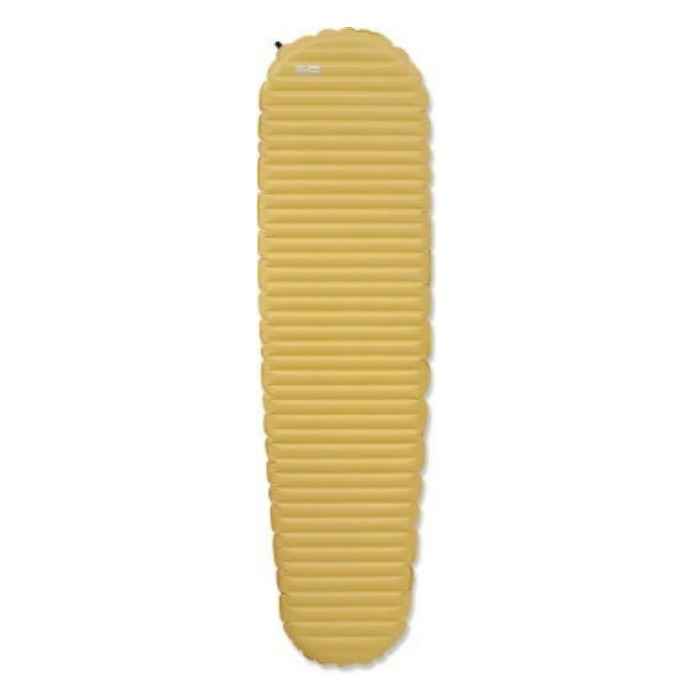 Backpacking sleeping pads tend to be mostly unisex by design, though some companies do make women-specific models. Most women find that unisex pads work perfectly well, but women do tend to sleep colder than men, so it's important to choose a sleeping pad with a high R-value, which will provide more insulation from the cold ground. We generally recommend air pads over foam pads because they tend to be far more comfortable. And similarly to our other gear recommendations, we prefer lightweight sleeping pads to keep our packs comfortable on the trail. For more tips on findinding the right sleeping pad, check out our Sleeping Pad Buyer's Guide. Just like the regular XLite, the NeoAir XLite-women’s version has a rare combination of comfort, support, warmth, and weight that make it very tough to beat for lightweight backpacking. This is one of our all-time favorite backpacking pads, and many other experts agree. The main difference with the women’s version is increased insulation (3.9 R-value vs 3.2 R-value) by adding a second layer of heat-reflective technology. Also, the women’s pad is a bit shorter (66 in vs 72 in), so it's often a more appropriate size. If you tend to run cold like many women, you may consider bumping up to the Therm-A-Rest NeoAir XTherm, which is also among our favorite choices (more info below) . The Sea to Summit UltraLight Insulated Mat is one of our favorite pads for men and women and the closest competition to the NeoAir XLite. It's one of the most comfortable lightweight pads we’ve ever tested, hands down. Sea to Summit’s “Air Sprung Cells” may sound like a bunch of nonsense, but the little dimples do a surprisingly good job of mimicking a normal mattress. Combine that with the fact that it’s cheaper than the XLite, has a better valve, inflates and deflates quicker, uses slightly thicker fabric, and has a bit more width to keep your arms from sliding off, and now you’ve got a real contender. 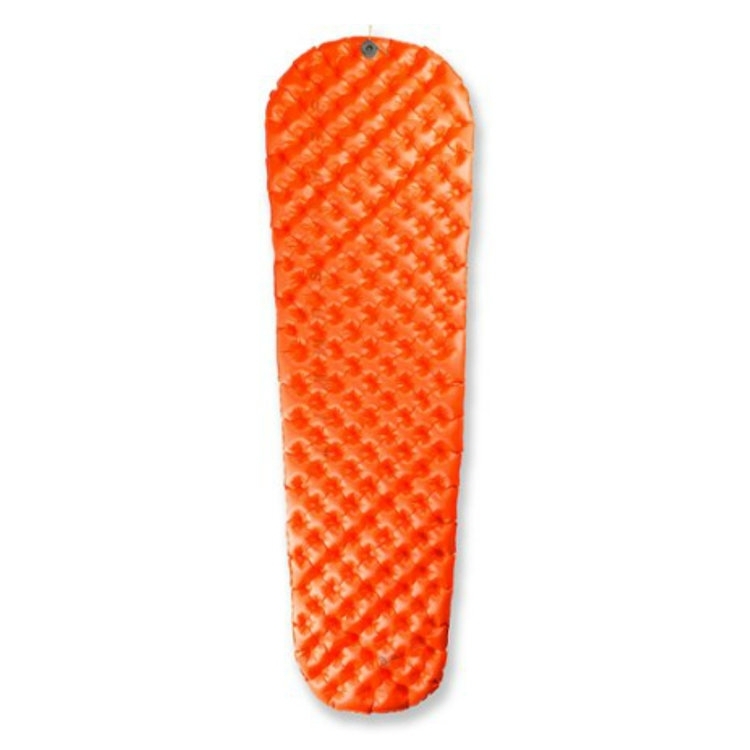 This pad also comes in several different styles, including their “comfort” series which has more cushy dimples. If you're among the many women that sleep cold at night, you may want to consider the Therm-a-Rest NeoAir XTherm. The XTherm is technically a 4-season sleeping pad due to it's impressive 5.7 R-value insulation rating, but many backpackers use it year-round. This pad has an exceptional warmth to weight ratio, a durable bottom layer of fabric, and the same cushy comfort of the XLite listed above, which makes it one of our favorite pads on the market. Similar to everyday shoes, most people choose backpacking footwear designed specifically for their gender. However, everybody's feet are different, so there's no hard and fast rule to this. The main difference between men's and women's footwear comes down to the shape of the shoe. Women's shoes and boots tend to be more narrow in the heel and wider in the toe box. Men's footwear also tends to weigh slightly more and rise higher on the ankle. You'll notice that most of our recommendations below are lightweight trail running shoes, rather than traditional hiking boots. Check out this article to learn why: 5 Reasons to Ditch Your Hiking Boots. In short, trail runners are light, comfortable, and breathable. They offer excellent traction and can often be worn right out of the box with minimal risk of blisters. Like many thru-hikers, we've hiked thousands of miles through some of the roughest terrain on the planet in trail runners and we we love the benefits they provide. We very rarely wear boots while backpacking anymore unless we expect to encounter winter snow conditions. That said, footwear is an extremely personal and important choice, so it's best to go with whatever trail shoe or hiking boot feels most comfortable to you. Always remember to order up a half or full shoe size because your feet will swell on long hiking days. We've been wearing the Saucony Peregrine 7 women's (and men's) trail runners for years and they're great. We've taken them trekking through the Himalayas, the Andes, the Canadian Rockies, and all over the western United States and they've treated us incredibly well. Their traction is incredible, they have comfortable padding, dry quickly, have a roomy toebox, and a soft sole. If you're looking for a really wide toebox, check out the Altras listed below, but for us, the Peregrines are an excellent fit. NOTE: The new Saucony Peregrine 8's are now available as well, which have a slightly narrower fit. The Altra Lone Peak 3.5 trail runners feature a much wider than normal toebox, which we find to be very comfortable. The Lone Peaks have a cushy sole, dry quickly, and have great traction for rugged mountain terrain. Altras are built with a zero-drop build, meaning the heel and ball of your foot will be the same distance from the ground. This is said create a more natural gait, because it's a closer approximation to barefoot walking/running. Most running shoes position the heal slightly higher than the ball of the foot, so this design may take some getting used to. We think these shoes are great, and there’s a reason you’ll see many thru-hikers wearing Altras on the trail. The Saucony Peregrine and Altra Lone Peak trail runners have been our favorite lightweight backpacking shoes for some time now. Both options provide a great balance of comfort, traction, weight, and fit. That said, everyone's feet are different, so below are some other popular trail running models worth checking out. La Sportiva Bushido (8.8 oz per shoe) - The Bushido's have been a staple in the trail running community for a long time, and with good reason. They have awesome traction and feel very stable on rough terrain. Our biggest issue with the Bushido’s is that we find their soles to be a bit stiff. This makes them a great choice for those wanting more protection under their feet, but we find them to be a bit less comfortable. La Sportiva Wildcat trail runners are also a popular option. Brooks Cascadia 12 (10.5 oz per shoe) - A lot of hikers highly recommend the Brooks Cascadia 12 trail runners. They have a comfortable sole and a more durable upper mesh section, but they're a bit heavier than the shoes we prefer to hike in. As one of the more popular backpacking shoe choices, they're definitely worth checking out. Hoka One One Challenger ATR 4 (7.4 oz per shoe) - These trail runners are freaky light and incredibly plush. They have good enough tread for most trails and dry quickly as well. Their toebox has a more narrow fit, so they're a little tight for our feet. Our main complaint with Challenger is their large midsoles, which although very cushy, makes us feel set high off the ground and less stable. Merrell Moab 2 Vent Low Hiking Shoe (14 oz per shoe) - If you're not quite sold on hiking in trail runners, we recommend checking out the Merrell Moab 2 WP Hiking Shoes. Although quite a bit heavier and stiffer than the shoes we prefer to hike in, the Moab is comfortable, has good traction, and is more durable than trail runners. If you prefer a traditional hiking boot that comes up high on the ankle, check out the Moab 2 Vent Mid Hiking Boot (15 oz per shoe). When heading into the backcountry, you'll always want to bring a trusty raincoat to stay safe and comfortable. A lot of people backpack with coats that are far too heavy and bulky for what they actually need. You can save a surprising amount of weight and space by choosing a lightweight rain shell over a mountaineering coat. If you really want to go light, there are some minimalist jackets that cut our features like hand pockets and pit zips, but we generally like having those comforts. Below you'll find a few of our favorite rain jackets that balance functionality, comfort, and weight. 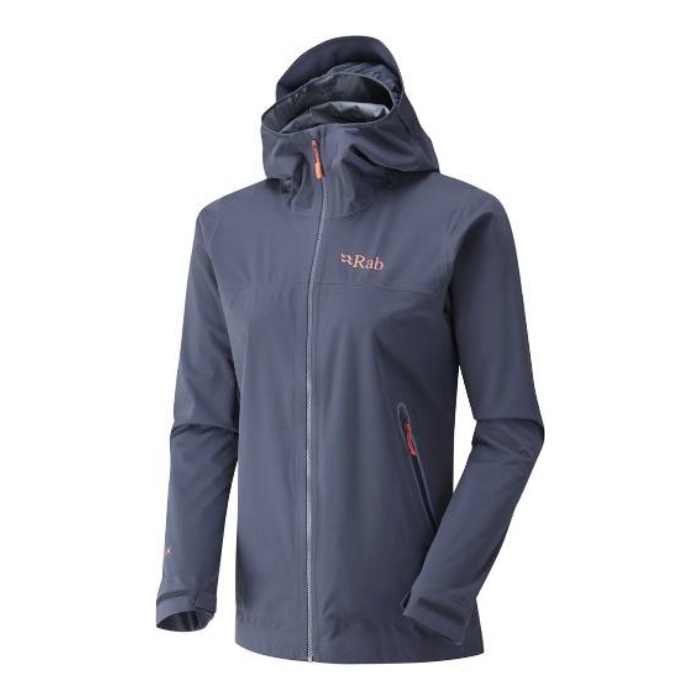 The Women's Rab Kinetic Plus Rain Jacket defies the stiff status quo for raincoats. Rab’s new ProFlex material is stretchy yet durable, comfortable, and highly breathable. It feels like a soft-shell jacket, rather than the type of restrictive rain shells we're all accustomed to. One downside is this jacket lacks pit zips for ventilation, which can be a deal breaker for some. We've also found that the sizing runs a bit small. Weighing only 5.5 oz, the minimalist Helium II Rain Jacket functions surprisingly well against the elements. It's highly compressible and and packs into its own chest pocket. It breathes well and has a comfortable fit. It is not as stretchy or soft as the other shells on this list, but it is also much lighter. The trade off for a minimalist jacket like this is that it doesn't have pit zips or hand pockets, which limits convenience and comfort. Sizing runs small. We love the lightweight, stretchy, and comfortable Rainshadow jacket. Patagonia uses their breathable H2No Performance Standard shell fabric to create a jacket that moves with you. The material is so lightweight that it can stuff into it's own chest pockets for easy packing and saving space. If you want to shave more ounces of your jacket, we also love Patagonia's 5.5 oz. Storm Racer Jacket. A great down jacket might be the most beloved piece of gear in your pack. We find that even on summer trips, we usually wear our down coat multiple times every day. We generally prefer hooded down jackets that are lightweight, warm, sleek, and compressible. Down jackets can be expensive, but their warmth-to-weight value is very tough to beat on the trail. 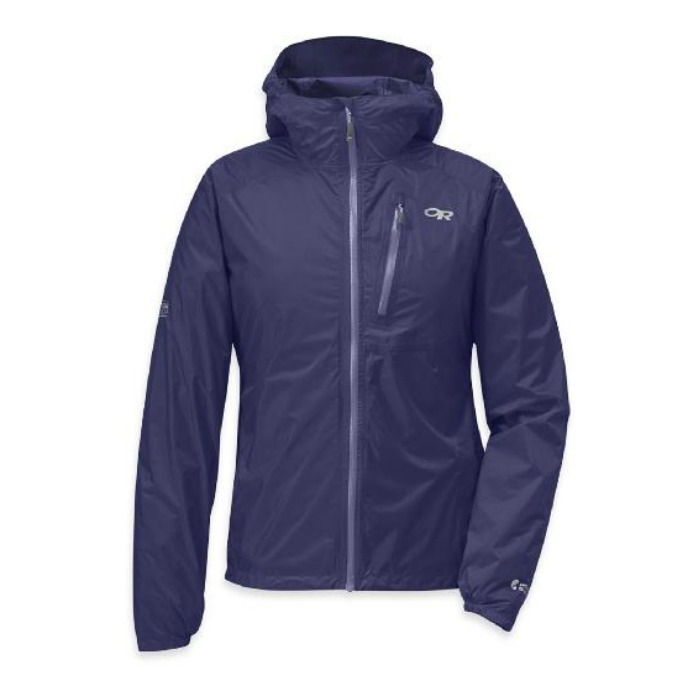 Weighing only 7 oz, the Women's Ghost Whisperer Down Hooded Jacket is a great lightweight option. It's comfortable, warm, and highly packable, stuffing into its own pocket for easy storage. One of our favorite features is the well-fitting elastic hood, which prevents or minimizes any drafts. Like the Patagonia hoody, this jacket is built with high-quality, ultralight materials, which increase its price, but if you plan to put it to good use it'll likely be well worth it. If you're willing to sacrifice some weight for a budget friendly option, we recommend checking out the My Trail Co Ultralight Hooded Down Jacket, Sierra Designs Whitney Dridown Hoodie, and My Trail Co Hyperlite Hooded Down Jacket. All three are warm, comfortable, and have nice features for a reasonable price. Although there's nothing gender-specific about tents, they're one of the most important components of any backpacking setup. When choosing a quality backpacking tent, we heavily factor characteristics such as weight, cost, interior space, durability, and weather protection into our choices. Below are some of our favorite backpacking tents, but our Tent Buyers Guide has a lot more information and recomendations. Women have specific hygiene needs when hiking in the backcountry. It's best to have a plan in place before you head out to ensure you're comfortable, clean, and prepared. UNDERWEAR- In order to prevent bacterial infections, we recommend avoiding cotton underwear, which has a long dry time. Instead, hike in performance underwear such as ExOfficio Give-N-Go Women's Briefs, which are quick-drying, antimicrobial, and highly breathable. We usually bring two pairs on backpacking trips, one for the trail and one for after we clean up in camp. When need be, you can always wash a pair in the backcountry because they dry quickly. PERIOD - Another issue that many women grapple with while backpacking is period maintenance. One option is to use tampons, preferably ones without an applicator. If the thought of packing out used tampons grosses you out (because you love nature, and leave no trace is really important), there are other options. Many woman have transitioned to using the Diva Cup, which is an eco-friendly and convenient way to "catch" your flow. You can wear it for up to 12 hours, which should get you through most days on the trail. URINATION - Staying well-hydrated is critical to any backpacking trip and with this comes more frequent urination. Whether you squat behind a tree or use a female urination device such as GoGirl or SheWee, you'll want to ensure that you're wiping properly and keeping a dry environment. You can use a small amount of toilet paper or a pee-rag attached to your pack (ultraviolet rays from the sun disinfect it), but always wipe front to back to prevent any infection. Getting a UTI on the trail is a sure-fire way to ruin a trip. Your backpacking clothing choices will obviously be highly personal, but there are some important considerations to take into account. Quick-dry clothing is key and cotton products should almost always be avoided. Also, take care to minimize excess clothing, because this is one of the most common ways people carry unnecessary weight on the trail. A layering clothing system is really important in the backcountry. We generally recommend carrying only one of each clothing type and managing perspiration by adding or removing layers. For example, on chilly trips we can wear our short sleeve shirt, long sleeve shirt, fleece jacket, down jacket, and rain shell all at the same time for maximum warmth in camp. But when we start hiking, we'll quickly want to remove layers to keep perspiration to a minimum. Below are some of our favorite, trail-tested options for women. The following accessories are not necessarily women-specific, but they make our Top Picks Gear List as some of our favorite trail tools. You'll find these items in our packs on most trips.